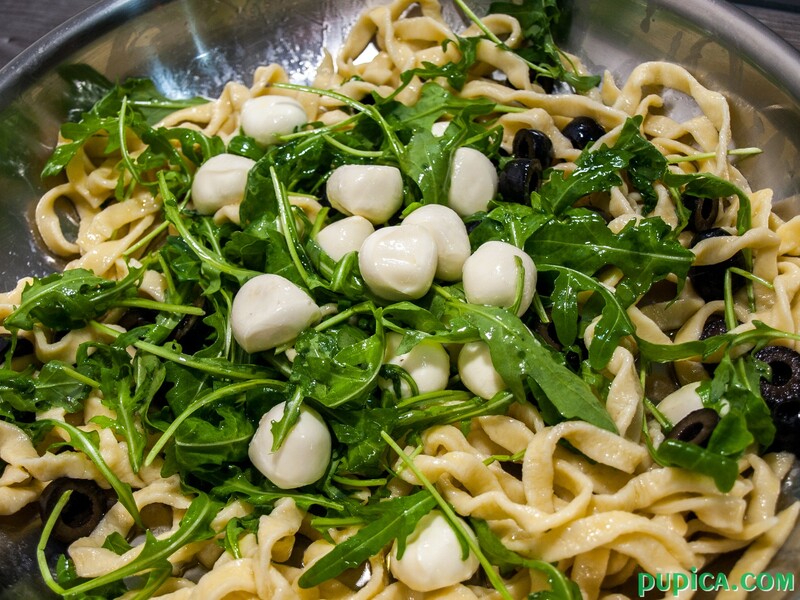 This tagliatelle salad is one of my favorite summer recipes. 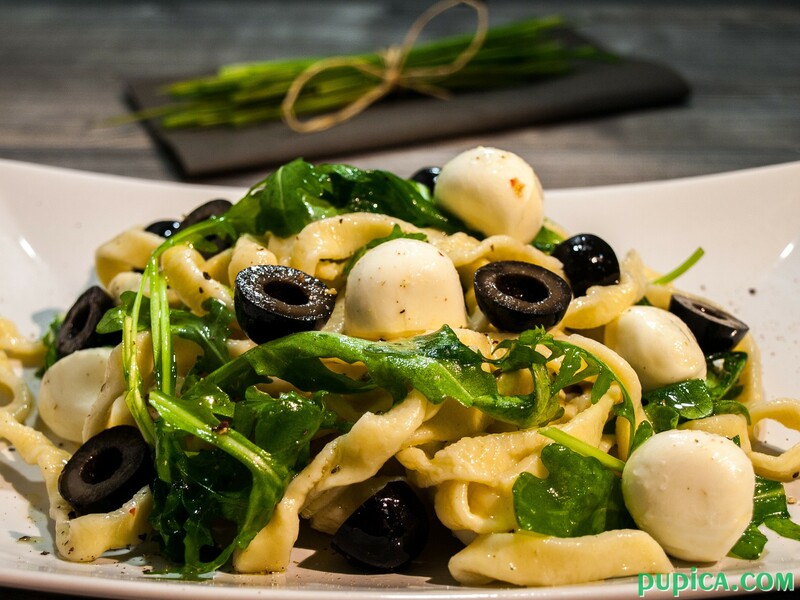 I made it with fresh homemade tagliatelle (you can see the recipe here), but of course, you can combine any type of pasta with these ingredients. I love homemade pasta, fresh of dried, it doesn’t matter, it just tastes great. I cannot say which one I prefer the most, dried of fresh pasta, although the fresh pasta absorbs more sauce and it has a softer texture. As I said before in other posts, I hate the cleaning up part, so if you hate it too, this is the perfect recipe. 1Bring a large pot of salted water to the boil and cook tagliatelle as indicated on the package or if fresh, as indicated in the recipe. 2Cut in half the olives and put them in a large bowl with the rest of ingredients. 3Drain the pasta and combine with other ingredients in the bowl. 4Salt and pepper to taste and toss well to coat. If you prefer cold pasta, when ready rinse it under cold running water for a few seconds.